In real state HHC you can find the best deals on housing. 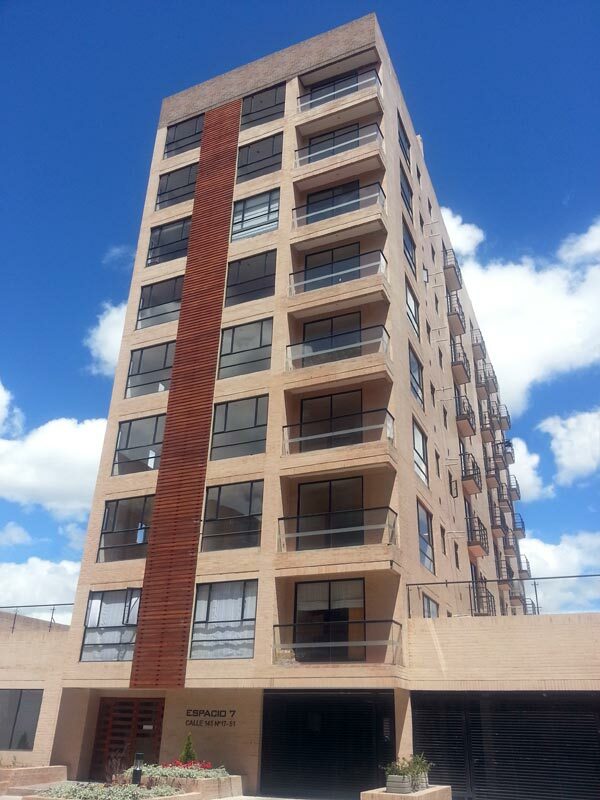 To buy or rent in Bogota and surrounding areas, contact us at inmobiliaria@constructorahhc.com and get all the information you need. Description: 2 bedroom, dining-living room with hearth and balcony, open kitchen, laundry area, study room, 2 bathroom, garage and storage. Area: 134 square meters + 2 terraces. Description: Dining-living room, kitchen, laundry area, service room and bath service, 3 bedroom, 2 bathroom, tv room with terrace, 2 garages and storage. Description: Dining-living room, kitchen, room service and bath service, 2 bedroom, 2 bathroom. Garage and storage. Fourth floor with elevator. Description: Dining-living room with hearth, kitchen, laundry area, study room, social bath, 2 bedroom, principal bedroom with bathroom and tub with jacuzzi,terrace (36 mts), grounds and BBQ area. 2 garages, storage and elevator. Description: (2 floors) first floor: 2 garages, garden outside and interior garden, dining room, principal dining room with hearth, auxiliary room, study room, living room, social bath, kitchen, laundry area, storage, room service y bath service. Second floor: dining room, 3 bedroom, 2 bathroom. Description: (Duplex) First floor: dining-living room, open kitchen, 2 bedroom, 2 bathroom, balcony. Second floor: 1 bedroom with bathroom, balcony and laundry area, 2 garages, storage and elevator. Description: 2 bedroom, 2 bathroom, dining-living room, study room, open kitchen, laundry area and garage. Ninth floor, elevator. NEW APARTMENT. Description: (Duplex) First floor: dining-living room, open kitchen, 2 bedroom, 2 bathroom, balcony. Second floor: 1 bedroom with bathroom, balcony and laundry area, 2 garages, storage y elevator. Description: 3 bedroom, principal bedroom with walk in closet, bathroom with tub, auxiliary bathroom, social bathroom, study room, dining-living room, open kitchen, laundry area, 2 garages, fifth floor, elevator.